Pictured: The MSC Splendida cruise liner. 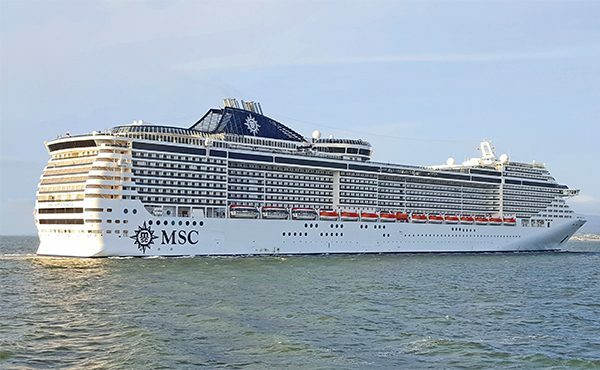 This year, Dublin Port Company (DPC) announced a record number of 113 cruise liners bringing over 180,000 visitors to Dublin through its ports and recently Dublin Port played host to an 18-deck 333metre-long cruise vessel named, MSC Splendida. Due to the enormity of these cruise liners, they can only reverse into the port, but now development is underway at Alexandra Basin which aims to allow these ships to turn within this basin and berth further upriver. The Alexandra Basin project was presented to An Bord Pleanála in Oct 2014 and was approved in July of last year. It involves deepening the basin and channel and includes a conservation directive for the port’s Victorian industrial heritage. The DPC contracted the RPS group to carry out the €230 million redevelopment project through planning to finish. Part of this planning required an Environmental Impact Statement (EIS) to assess how the construction might affect wildlife that currently live in the area. Such works like dredging the channels, removal of muddy banks and dumping rock spoil was of concern amongst local groups who submitted their objections to the EPA. According to the EIS done by RPS, dredging, which is the clearing up of a bed, will be done in the winter months (October to March) and so it says that this will not affect the foraging birds during the breeding season and promise to have no sediment residual when the population of terns return in April. Black Guillemots at present nest in cavities in the area under construction and RPS plan to remove these cavities before they return, and re-nest them in a neighbouring area with concrete nests boxes which will be incorporated in the new quays and jetties. In relation to marine mammals such as the harbour porpoise which is in high densities in Dublin Bay, RPS state they will have a Marine Mammal Observer (MMO) on site at the time of dredging, dumping and demolition operations and will scan the site before work begins. RPS state that noise-producing activities will only occur during daylight hours when the MMO can properly survey the area and if a marine mammal is spotted in the area of work then the work will temporarily cease until the mammal has left the zone. Despite the record number of objections EPA received in regards to the Dumping at Sea license DPC sought, in September of this year the EPA granted the DPC the license. This license allows DPC to dump material from the deepening of 10km stretch of sea, to an existing licensed offshore disposal site located outside Dublin Bay to the west of the Burford Bank.